The modern world has immensely gifted with the modern technology, the digital world is the best creation of contemporary technology. The digital networking has brought the people closer and given them a chance to interacting with the people all over the world. The digital world is kind of a social structure which is made of sets of dyadic ties like as individuals and organizations. There are plenty of privacy concerns with the digital media network services, the subset of data privacy, enable people to mandate personal data storing, re-purposing, sharing private data with the third parties and the transformation of information through the internet. Every day, the astronomical amount of information, the social sites, applications and many other tools are processing. 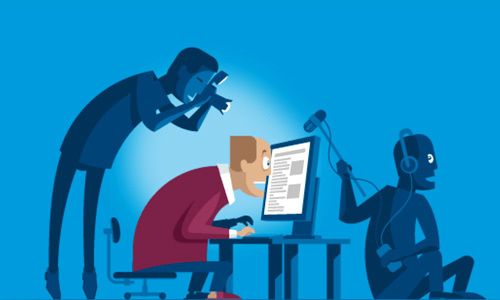 The social media and the social apps have a number of attractive features which fascinate the users to do messaging, photo sharing and sharing personal information in open platforms applications and these applications open the gates for others to breach the user’s private information. These privacy problems with the digital world often cause some serious issues to the whole society. The social sites and apps like WhatsApp, Facebook, tinder, Line, Hike, SnapChat, and many others tools are participating to breach the user personal information. In general terms, privacy can be defined as an individual has right to be free from the secret surveillance and to discovering that when, how and to whom one’s personal organizational information is to be revealed. Privacy can be categorized further in the four following parts. Physical privacy means is to prevent invasion to anyone’s physical space. Restriction on revealing the facts and figures are unknown to others. Put restrictions on disturbing in some one’s own decision. Not allowing someone to breach an individual privacy. Social apps and websites are different according to the level of privacy offered by the sites. The personal information is based on a usual date of birth, address, and contacts. Plenty of sites available which encourage a user to provide information about like interest, hobbies, favorite books and relationship status. Few sites are also there for people who always like to be unknown having least amount of personal data available on their social networking sites. 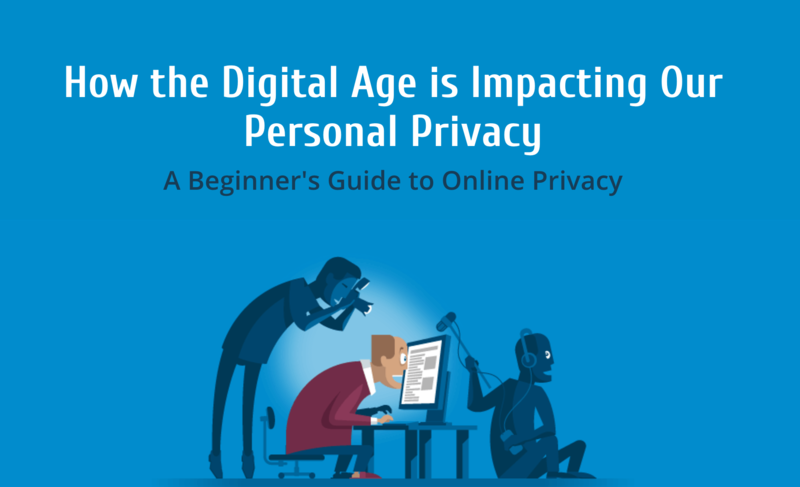 Kids, Preteens, teenagers, and adults are the most affected group due to the privacy revealing on their social media networking sites and applications. Mostly they are blackmailed, cyber bullied and sometimes looted by having their personal information. They regularly do chats with the young users, who are innocent and finally, they meet them and fulfill their wrong motives. Stalkers usually see pretty and innocent faces and follow them on social media apps and sites in order to cheat them, emotionally. Young teens often share current location information by using the social media sites and apps. Even some user use to of updating their travel plans as well on social networking sites and apps. The users share their personal information while using the third parties platforms, which ultimately can create issues for young kids, teens, and for young adults. Following are some of the issues for revealing privacy in the digital world. When parents realize drawbacks of revealing privacy, they tend to do monitoring and sometimes unwillingly do spying. Therefore parents should need to know the difference between monitoring and spying. It is something to interfering; you want to know the secret of others which they are hiding from you. It is something else than spying. Having a power or authority and its use in a respectable way, like teachers, monitor their classrooms to find out students are studying or like a doctor who are watching their patients for the sake treatment of their bad health. 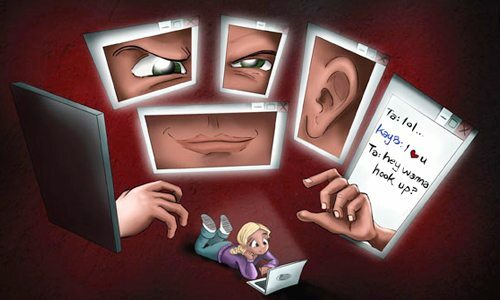 When parents monitor their young kids and teens, they should know a thin line between spying and monitoring. They have the power to track their young kids and teens activities which they think are inappropriate such as privacy sharing on smartphones. But parents should realize their privacy too even they are too young mostly in case if parents are tracking each and every single message of their young kids and teens. Don’t come to the point where they feeling embarrassment. The young adults are free of doing activities whatever they want to do. In case, a young adult is nontech-savvy and sharing information on social media or he or she are talking to gangsters and may get using drugs, then by taking him or her consent you can do surveillance on their activities in order to protect him or her. You cannot track their personal activities like SMS messages, social network texting and other things which are private for him or her. How can we protect digital media privacy? And protect kids, teens, and adults to avoid sharing privacy on social sites and applications. Monitor devices for your kids and teens by using the monitoring software. Talk to young adults and make them understand what may cause him or her by sharing personal information on social media networks. Adults cannot be treated through harsh words, use soft language in order to tell them the negative and dangerous aspects. Encourage the adults to take part in supports rather than just wasting time on digital media. Take them into consent and make them tech-savvy and guide keep them updated about evils of social media. If someone is willing to use some sort of monitoring software, then TheOneSpy parental monitoring app should be your first choice. It enables users to track performed activities on all kinds of devices. So being a parent or guardian if you want to spy the activities of your young kids especially, teens, and young adult and you are realizing they are sharing information on social media through their devices then use TOS tracking software is the best choice. TheOneSpy parental monitoring app should be your first choice. It enables users to track performed activities on all kinds of devices. So being a parent or guardian if you want to spy the activities of your young kids especially, teens, and young adult and you are realizing they are sharing information on social media through their devices then use TOS tracking software is the best choice. How to Keep Tabs on Tablets of Your Teens?